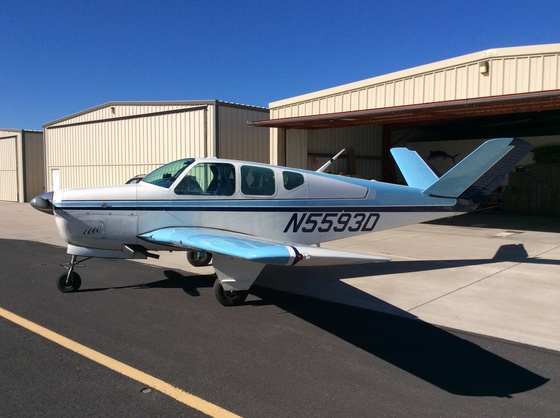 I have a beautiful 1991 Bonanza F33A. I leased it to a FBO in Rockford when the market crashed around '09 and cash was tight. I am ready to fly again, but am looking to find a couple partners - $69,000 obo per third. The FBO has kept the plane in perfect condition and flown it a few hours a week as a chase plane. Only future need - prop overhaul. Annuals performed in March each year - so it will be fresh. I live in Northwest Indiana and work in Chicago - I'm flexible on a home base. Just want it inside and relatively close. I have considered offers as far as DuPage and Schaumburg. It has two yokes (not the single flip yoke). The inside might be a bit dated, but in great shape. Honestly, the plane is a gem. I have the WAAS equipment, but have not installed it yet. I would be willing to invest in upgrading electronics. That includes autopilot. Plane is instrument rated. Retractable gear, pitched prop, excellent interior, hangar-ed indoors. All logs with the plane.